Every ladder also has specific ladder rules, be sure to read them on the ladder page. Specific ladder rules always win if they are in conflict with the global rules. The proper functioning of the ladder system depends on the sportsmanship of the participating teams. We expect everybody to play by the rules, but also to be flexible when circumstances require it and to be reasonable when an opponent has problems beyond their control. Not knowing the ladder rules is never a valid excuse for not following them. 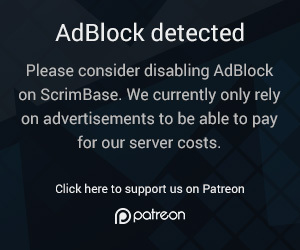 ScrimBase reserves the right to broadcast every match. This can be done with online game broadcast tools for spectating purposes. The recording of such broadcasts can't be refused by the teams. In many cases ScrimBase will allow or ask third parties to broadcast the matches. Spectators may never be charged. For any questions or comments concerning the ladder or the outcome of conflicts, contact the ladder supervisor or write a support ticket. For any questions or comments concerning the ladder or the outcome of conflicts that the supervisor can't resolve, or for complaints about the supervisor, write a support ticket. Messages not written in English will not be understood and will not be read. Messages containing abusive language will be ignored. Messages will be dismissed by the ladder managers if the controversial issue has not been discussed with the ladder supervisor first, or the ladder supervisor answered correctly but was ignored. Agreements and arrangements made in the challenge notes field, on the server or elsewhere are not binding. Only the official ladder rules and settings (maps, optional rules) decided on the challenge form should be followed and be considered as the correct rules. Agreements that contradict the ladder rules will be overruled in conflicts. For example: In conflicts, we will ignore teams who claim that the opponent agreed to a certain rule and the opponent accepted. Proposed servers are never binding and are ‘suggested’ play locations only. Disclaimer: references to any gender in any ladder rulebooks within this website do not imply these ladder rules are gender-specific. Any team registered on ScrimBase can participate in any regular ladder. For information on how to register your team on ScrimBase, read our Faq. It is not forbidden for a player to be a member of more than one team under the same account, having multiple accounts however is not accepted. Duplicate accounts will be forcibly merged when they are noticed. Users are notified five days before their accounts will be merged via a private message to give them a chance to try to prove that the accounts' owner isn't the same. Oldest account will remain as the main account in forced linking. If the oldest account has been abandoned, the next oldest (used) account will remain. Only players who are registered in a team on ScrimBase can play in ladder matches, and they can only play with the nick (or very similar) they're registered with in that team. Teams may request another player to be used by the opponent before the match, if their choice is violating this rule. If they cannot replace the player then the match is a no-show. Once the match starts, neither team can complain that the other team is using a player with a different nickname. A team may make a claim of freelancers if their opponent uses a player who is an unregistered player, or uses a substitute who is breaking the above rule, or a player changes their name into an unrecognisable nickname during the match. Using a freelancer in a ladder match will result in a forfeit loss. Using freelancer(s) in multiple matches will result in a temporary suspension of the team from affected ladders or even all ladders. Violations are accumulated over time. 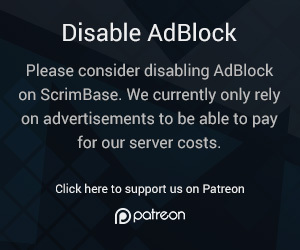 Scrimbase only creates ladders when we believe there's a 'market' for it. If you would like to request a new ladder for a new game, mod or an existing game and you think there will be enough interest from other teams to make it competitive - please request it here (or vote for an existing request) using this page. Next, we will consider adding the ladder, based on the popularity of the game or mod and based on our relevant expertise in order to provide a great working ladder. There is no set number of votes that will ensure a ladder or game is added. The ladder/game may be rejected if it has been tried before and failed. The gold, silver, and bronze ladder icons can be obtained as an achievement by reaching rank 1, 2 or 3 in any ladder. These icons feature next to the team’s name when selected. when a team loses their rank for such achievement, they also lose the achievement itself. Playing several matches against the same opponent in a short period of time is considered cheating as it distorts the ranking. As a rule of thumb, never play the same opponent twice in less than one week unless you also play many other matches. Playing the same opponent three or more times in one ladder or over many ladders will result in short-term suspensions as described here. In case of grave violations it will be assumed the matches are fake. Teams without the required amount of players can be removed from the ladder after 7 days. When a possible fake match is discovered, both teams involved will be suspended from all ScrimBase ladders without warning. Players who create 3 or more fake team matches gets their accounts removed. Teamleaders have 1 week to appeal against this decision, but they must supply proof of the match in the form of screenshots or demos and post them on match media page. Players should then contact the supervisor that reported them. Teamleader didn't arrange the fake match. The team (leader or an officer) reports the fake match to ladder's supervisors via support before 48 hours have passed of the fake match's 'starting time'. Tell in the war summary page also to which supervisors you reported the fake match, including their nick and link to their player profile. The person responsible of the fake match is removed from the team as soon as possible after the fake match is noticed and the teamleader gets online. If it's uncertain who did the fake match, ladder supervisor can be consulted regarding it. This can only be used three times per year and teams trying to abuse this by reporting matches that aren't actually fake will lose the right to use this for a year. ScrimBase ladders use a rating system based on the ELO system known from chess. Every team starts with a rating of 1000 points. After each match, points are added or subtracted based on whether the outcome of the match was a win, a loss or a draw (the score has no importance). Beating an opponent with the exact same rating gets you 60 points. The maximum amount of points you can win for a single victory is 120, but to get this many points you'll have to beat an opponent who is 700 or more points ahead of you in the ranking. You get 100 points for beating an opponent who is 200 points ahead. Beating lower ranked opponents gets you less than 60 points. If they were 200 points below you you only gain 20 points, if they were 300 points below you only get 10 points, and if they were 400 points below you get a mere 5 points. If a match ends in a draw you will gain points if your opponent was ranked higher, or lose points if they were ranked lower. The number of points you can win and the number of points you can lose always add up to 120. So if you can only win 30 points with a victory, you can lose 90 points with a defeat. The ladder leader does not have a rating, but is considered to have an infinite rating instead. Top 5 teams can take the top spot by challenging the current ladder leader and beating them in a direct confrontation. If that happens they become the new ladder leader while the old leader will return to the normal ranking with the points they had before. If the challenger loses or plays a draw, the ladder leader’s position doesn’t change. The ladder leader is not allowed to refuse playing the other top 5 teams without a valid reason. Repeatedly rescheduling to senseless dates or with non-default match rules or only playing lower ranked teams will be considered abusing the ladder system and the team will risk being removed from the first spot, and suspended. Teams at the number one spot who are legitimately beaten may not create a match, accept and confirm the score with a 2nd team before the score to the original one has been confirmed - so that the 2nd team gets the number one spot. Teams outside the top 5 can also challenge the ladder leader. If the ladder leader is beaten then they're switched with the second ranked team while the challenger gains 120 points. If the ladder leader wins, nothing changes. In case the number one has been deleted for ladder, cup or violations, the second team in the ladder is set to number one. Direct challenges are challenges where you challenge specific teams you have selected yourself. They can be made by clicking the challenge button on their team page. The challenged team is required to confirm the challenge, decline it or reschedule the time. Ladder challenges are challenges where you challenge specific teams you have selected yourself. They can be made by clicking the crossing swords icon on a specific ladder page. The challenged team is required to confirm the challenge, decline it or reschedule the time. Private requests - Users are allowed to use game channels (i.e. #moh.wars, discord channels or teamspeak channels) to search for matches, within reason. If someone cannot find an opponent straight after making a request they shouldn't spam the request again or they may be removed from the channel. You upload demos immediately after the match, or post match screenshots showing the final scores. The deadline for reacting to a challenge is 7 days after the challenge. If by the deadline the opponent still hasn't reacted to the challenge, the challenge will expire and deleted. When both teams agree not to play a match it can be cancelled for any reason after its scheduled starting time. Just choose the 'Match was cancelled' option on the other outcome form. If a match is played without being arranged on ScrimBase first, then both sides are depending on each other's sportsmanship to accept the result afterwards. We will not force match results when there was no accepted challenge for that match. To find your opponent before a match, you should look on their team page or contact them directly through private messages or any other means. If you still haven't managed to get in touch with your opponent 15 minutes after the scheduled starting time of the war, you can fill in a no-show. Report a no-show by posting a clear comment on the match page and tell why the match is a no-show and what you've done to contact your opponent. If you're more than 15 minutes late, you have to accept a no-show if your opponent insists. If you feel there's a good reason the result shouldn't be a no-show, you'll have to convince your opponent of that. If one team is short of players or refuses to start the match with the rules agreed upon in the challenge form, the other team can demand a no-show to be filled in. Remember that challenge notes, the proposed server and agreements made elsewhere are not considered to be binding rules. Repeatedly not showing up for matches will result in removal and suspensions. Once a match has started, its result counts, unless both sides agree it shouldn't. Ping, lag issues or incorrect server settings are no excuse for leaving; you should have checked the server before you started playing. If one team walks away from the match, the score at the time when their last player quit can be considered to be the result of the match if the team that stayed was leading. If the leaving team was winning but the losing team could have still won the match, ScrimBase can change it to the advantage of the team that stayed. The real score of the match. A no-show if the opponent didn't show up. The result reflects the punishment specified in the rules which the opponent violated. A forfeit if the opponent violated rules with no punishment specified. In case of a no-show/forfeit you can select it under the "other outcome" option, which will result in a fixed penalty of 10 points for the team not showing up or 120 in case of forfeit. The score is edited by the team that entered it. The score is accepted by the other team, and ladder ratings are adjusted accordingly. The other team refuses to accept the score, and enters another result. The other team refuses to accept the score, making it a match conflict (contact the ladder supervisor or you can write a support ticket). Teams may not confirm a no-show/forfeit instead of the real score to get more points, unless a no-show/forfeit is the punishment for violating a rule. Teams that put in an excessive no. of no-shows/forfeits instead of the correct score will be suspended. To avoid this, ensure that you report a match as a no-show in the match page comments at the match time. Teams are expected to have proof of their match being played for one week after the score has been confirmed in ScrimBase. Teams should provide an accurate Player of the Match list. Supervisors may alter or remove a team's PotM list if the wrong players were added or an excessive number of members were added to the list.